Admitek Online Admission System is an online application software that helps schools, colleges and universities to manage their entire admission process starting from student management, accepting payments, generating merit lists, counselling & interview scheduling, reporting and related tasks! Admitek Online Admission System not only ensures greater efficiency but also helps the institutions to promote transparency. With a bundle of wondrous features, Admitek Online Admission System is the most sought for option for online admission system for Institutions in India. Made in India. For India. Create and configure unlimited Courses including parameters like Intake Capacity, Fees Structure, Eligibility Criteria, Allowed Boards & Universities, etc. Easily manage candidates and their data in Admitek. For every applicant, Admitek creates an account for them where details & data are stored. Add, Edit & Delete Unlimited Users who can concurrently access the system and take-up admission related tasks, thereby distributing the pressure. Admitek has an integrated payment gateway to collect payments from the students online in a secure environment, secured by 256-bit SSL Certificate. Easily publish Notices & Tenders in the admission portal from your Admin Panel. Information can be both – composed and uploaded as PDF files. Schedule interviews for selected candidates, inform them via email & SMS about the dates, venue & timings for counselling and further procedures. Admitek can automatically create merit lists for you, based on the applications received for each and every course your institute offers. The merit list creation logic is provided by yo- ur institute at the time of initial configuration of the system. Admitek has an in-built admission portal from where the students can apply to different pro- grammes offered by the institute. This admission portal is fully brandable with institute’s logo, color schemes and programme details. Admitek verifies the email address and mobile number of the candidate through SMS OTP alerts and Email alerts. This ensures the applicant is a genuine candidate and that the data in the system is verified. At Admitek, we do not believe in limits; and thus everything in the software is Unlimited. Be it Students, Applications, Courses & Programmes, and even Users all unlimited. We do not want to place any limits on Admitek as that would be unfair on our part. Generate customized reports by specifying parameters yourself in the admin panel & download them in CSV format for future use. Admin can check the details of total no of applications, application fees received data admitted students total no. Securely download all your data from the system to your data from the system to your local PC for backup & later scrutiny and usage in common file formats. Go to Settings > click on Backup & Export option. After that a lot of options are display in the organized format. An easier to use interface enables users to learn the system quickly and use efficiently. Admitek is more easier than any software. 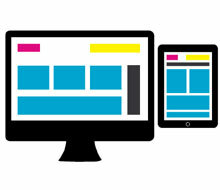 Our system is mobile and Tablet-friendly which means that the system automatically resizes itself depending the user’s screen size. 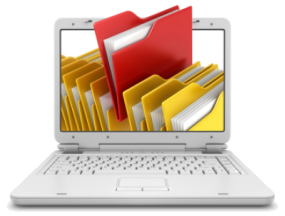 Document Management enables Students to upload documents like Student Signature, Mark Sheets, etc while creating their profiles. We believe in clear and transparent pricing and are delighted to know about your interest in Admitek Online Admission Software for Schools, Colleges & Universities. Admitek OAMS is suitable for Schools, Colleges & Universities who wish to take admission process online. Contact Us for discounts, feature additions and other requests. Our support team shall be happy to help you. Costs indicated above include full technical support covering bugs, training assistance and minor software edits. Extended or large scale agreements may result in additional discounts. Software Customization (Feature addition) is possible and shall be billed separately with a budget agreed upon in advance. Interested in our Online Admission Software? We offer discounts up to 15% for non-profit educational institutions, working towards the betterment of the society. For discounts & details, please contact our executives.